The original multi-purpose low temperature rod for brazing and bronze welding of steels cast iron copper and it's alloys. Favoured throughout industry for it's variety of applications and ease of use. 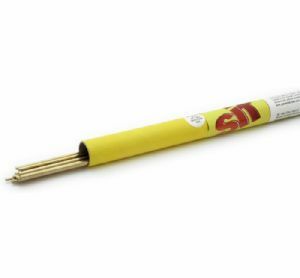 Capable of joining virtually any metal except aluminium SIFbronze No.1 is THE recognised brazing rod and is widely used in bicycle frame manufacture tubular components galvanized steel dissimilar metal applications cast iron repairs vehicle bodies & general mild steel work.